Mindfulness meditation is practiced sitting with eyes closed, cross-legged on a cushion with your back straight. Attention is put on the movement of the abdomen when breathing in and out, or on the awareness of the breath as it goes in and out the nostrils. As thoughts come up, return to focusing on breathing. Meditators start with short periods of 10 minutes or so a day. As you practice regularly, it becomes easier to keep attention focused on breathing. Eventually awareness of breath can be extended into awareness of thoughts, feelings and actions. 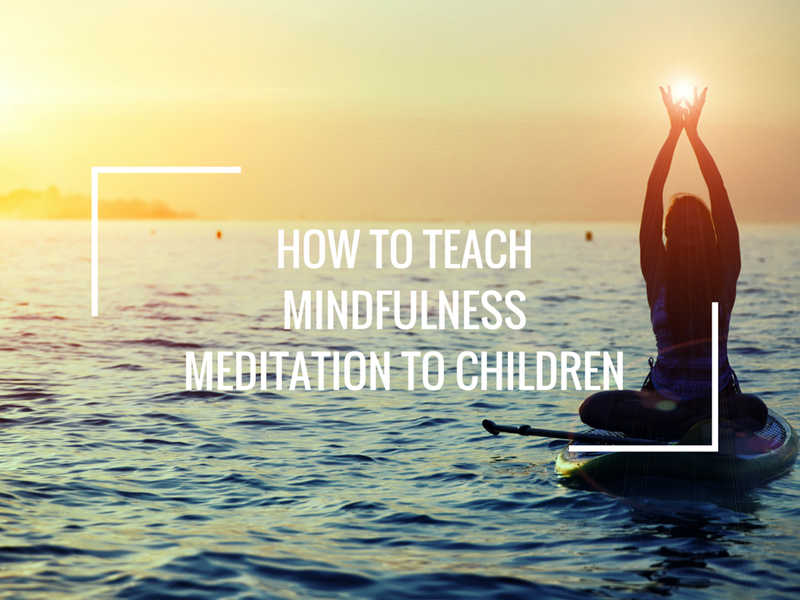 If you are already into mindfulness you know the emotional and spiritual benefits of living in the moment and now you want to teach mindfulness meditation to your kids too; here’s how. The way you learned mindfulness meditation will probably not work for your child. You cannot expect him to sit cross-legged, close his eyes, and watch his thoughts flow by without being judgmental. If you ask him to do all these, you might only succeed in putting him off mindfulness meditation for the rest of his life. You will have to teach mindfulness meditation to your kid in a way that he finds enjoyable enough to tear himself away from the computer. Most children find it difficult to understand abstract concepts. Ensure that you give clear, concise, and detailed instructions when you guide them through mindfulness exercises. Children enjoy activities that allow them to be imaginative and creative. Keep this in mind when creating the activities. The easiest way to initiate a child into the practice of mindfulness is to make him more aware of his immediate environment and the objects in it. Ask your kid to draw a common household object from memory. Once the picture is finished, ask him to observe the object minutely for a period of time. You may want to guide him by pointing out the little details on the object like its texture or markings. Ask him to draw the object again and compare the two drawings. You can carry out similar exercises with a cartoon film or a story book with older kids. You can ask them to describe the attire of a particular character or list the characters present in a scene after they have watched the film or read the book for the first time. You can add novelty to the mindfulness practice routine by asking them to write down the objects they see and the people they meet on their way to and from school. Kids are actually more mindful than most adults. Your child doesn’t have much of a past to ruminate upon and he will certainly be the last person to worry about an uncertain future. Teaching him to become aware of his immediate environment with fun exercises will teach him to live in the present moment. Eventually, this habit will help him graduate with ease to advanced mindfulness meditation practices like becoming aware of his body and emotions.